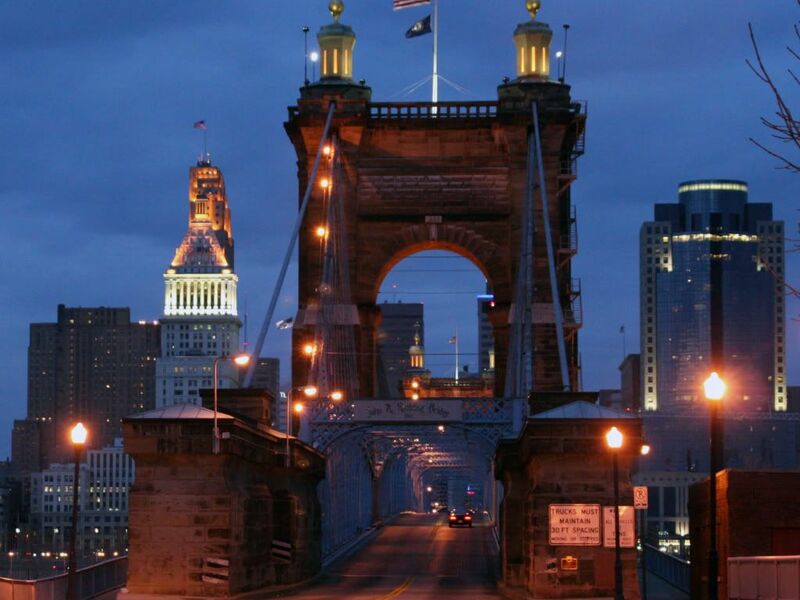 Few American cities can claim a landmark as distinctive as Cincinnati's Suspension Bridge. The Covington and Cincinnati Bridge, in 1984 renamed after designer John A. Roebling, and all the while called by locals simply "The Suspension Bridge", has been a symbol of the city since its completion in December of 1866. Images of the bridge can be seen today in all parts of the city hanging in homes, offices, restaurants, bars, waiting rooms, and as backdrops for the local television news. More than just a nostalgic decoration, the old bridge remains an important river crossing for thousands of cars and buses each day. The bridge opened to pedestrians in December 1866, and the 1,057ft. main span was at that time the longest in the world, surpassing the Wheeling, WV suspension bridge (1849). Not only was the Cincinnati Suspension Bridge the world's longest, but it was also the first to utilize both vertical suspenders and diagonal stays fanning from either tower. This advance was next seen on the Brooklyn Bridge (also designed by JohnRoebling), which surpassed the Cincinnati bridge in length and almost every other statistical category in 1883. This is the runner up picture of the day. 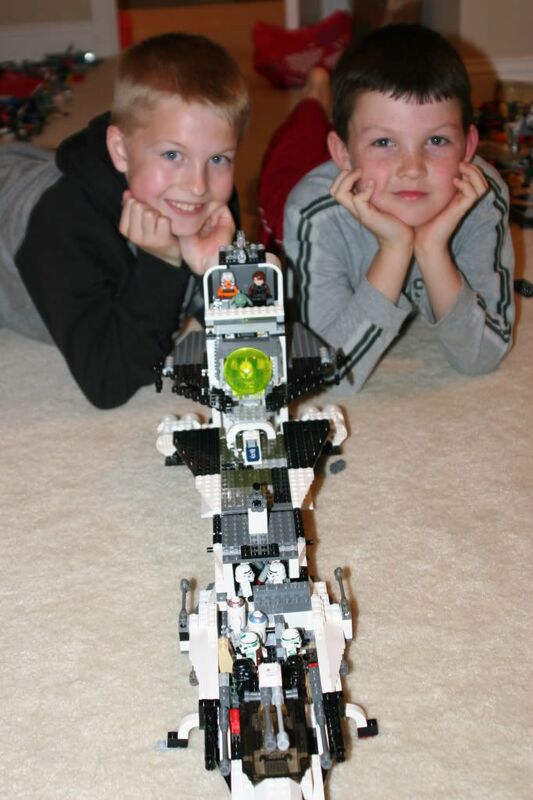 These two boys worked all week on this ship and finally completed it! It's great to have a cousin that's as passionate about something as you are. Connor calls this room lego heaven. It's a room that has nothing but legos. Today Connor was trying to earn a little extra money to buy a new DS game for the trip home, so he organized the lego room and Uncle Dave paid him $10 for his 3 hours of work. Thanks Dave!